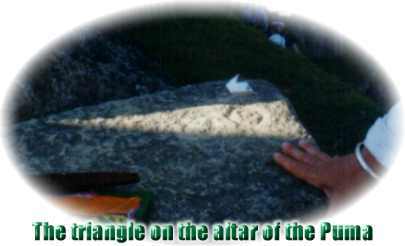 Machu Picchu, mysticism and symbolism: why this location? Machu Picchu seen from the Inti Punctu, on the background is the Huayna Picchu situated and left the "Two Sons". The mountains on the horizon form concentric circles around the Sacred City. Fernando E. Elorrieta Salazar and Edgar Elorrieta Salazar worked together for years to find out why the Incas constructed their temples on the chosen places. They linked the many myths and symbols left by the Inca culture to explain the position of the many fantastic cities and temples in the Sacred Valley in the dale of the Urubamba between Cusco and Machu Picchu. They left a good illustrated book "The Sacred Valley of the Incas, Myths and Symbols", published in Cusco in 1996. Let's take a closer look to their discoveries. The brothers Salazar researched why Machu Picchu was built on this location and come to revolutionary discoveries. Let's first consider the geographic environment in combination with the many legends and traditions left by the Incas and the chroniclers. The Incas had a cosmological vision of existence according to their myths and legends and in everything that they consider sacred. Sacred was connected to the word "Huaca" and had a range of meanings. A Huaca could be a sacred something, a temple, a consecrated place, things that seem to exist out of their natural order, remarkable things because of their exceptional beauty or excellence or things that became sacred by offering its natural powers, like sculptures of humans, animals, etc. The Incas had besides the meaning of Huaca a parallel meaning, the Huauque or Brother. 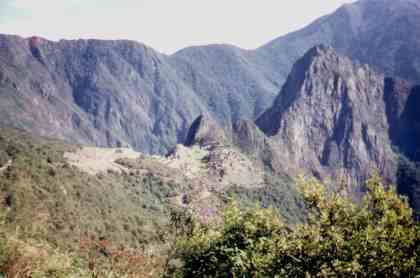 For example, they saw the valley of the Urubamba as a reflection of the Milky Way, the Mayu. The abundance of sacred elements found in Machu Picchu confirms the conviction that the Incas built the Sacred City as a place of pilgrimage, a sanctuary. The Inca trail constructed by the Incas, known as the Inca Trail, was probably the chronological order followed by the Incas before finding the place where they built Machu Picchu. 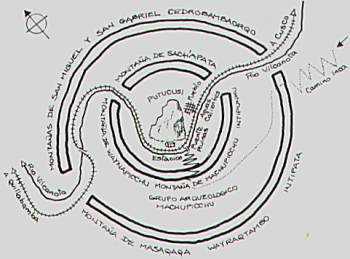 As a jewel rests this city in the middle of the surrounding summits and encircled by the Vilcanota twisting as a enormous snake its way around the sanctuary to the tropical rainforest (see drawing). The Machu Picchu (the mountain, the city itself is situated at its foot) and the Huayna Picchu make up a first belt around this magical place. The higher mountains around represent a second belt. The Incas believed that this place was chosen by the Cosmos to build the Sacred City. 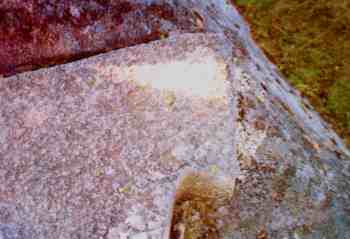 On the Inti Raymi (the 24th of June) appear a triangle on two concentric circles carved into the Intihuatana pointing to the Machu Picchu (see the picture, the concentric circles are difficult to see, but are above on the right hand side of the triangle).